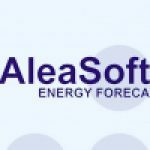 30th November 2010.- Electrical power consumption will not return to pre-recession levels until 2012, according to figures produced by AleaSoft, the leading firm in the development of models for forecasting consumption and prices on energy markets. This envisages that a moderate economic recovery will begin in 2011. 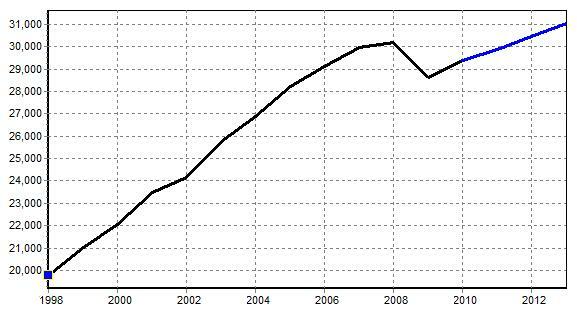 The estimate was produced using a statistical model based mainly on trends in economic activity, which began to decline from early 2008 onwards and to grow from autumn 2009, and on the historical trend in electricity consumption in recent years. Thus, in 2009 power consumption fell to 2005-2006 levels and has since been recovering, though slowly. By the end of 2010 electrical consumption is expected to top that in 2006, though demand will not recover its peak historical levels until the year 2012. Graph showing the development in the annual demand for electricity in mainland Spain (hourly average): real and estimated [MWh]. Taking GDP as the indicator representing economic activity to model electrical demand and predict future prices, it will not recover until 2014, by then reaching figures similar to the beginning of 2008. 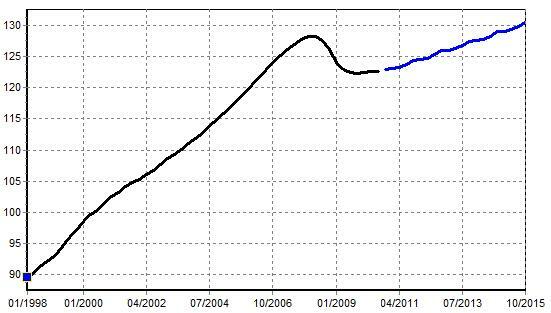 Graph showing the development in GDP: real and estimated [base 2000]. The current situation: As of November 2010 demand for electricity is growing at 6.81%, or 3.23% after adjustment for temperature and calendar effect. Accrued growth in the year to date when compared to the same period of last year is 3.42%, or 3.21% after adjustment for temperature and calendar effect.